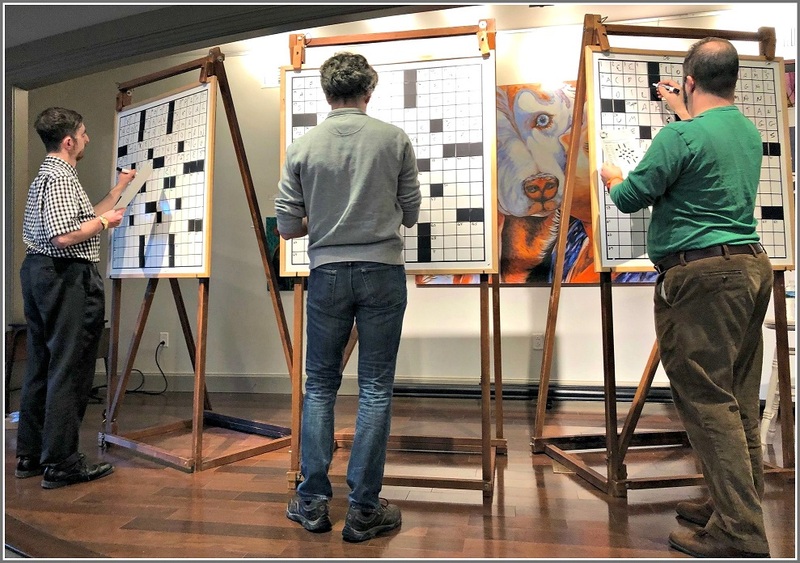 This entry was posted in Entertainment, Library, Media, People and tagged Bill Harmer, crossword puzzles, Westport Library Crossword Puzzle Contest, Will Shortz. Bookmark the permalink. I am extremely impressed, Dan. I could spend all day trying to figure out ONE New York Times puzzle and maybe figure out three answers, if I were lucky. Congratulations on doing a super job! Thanks, Barbara. It’s more a function of doing crosswords every day. The more you do, the better you get! Happy solving! Gotye is somebody that I used to know. One of my high school math teachers used to do the puzzle in red ink. Is it true that the puzzles increase in difficulty as the week goes on? When I rode the train to New York City, my roommate did the puzzle in ink also. Absolutely. There is a definite progression. And Mondays through Thursdays have themes; Fridays and Saturdays are themeless, but very tough. The most fun is having Sunday brunch at a Westport restaurant with someone you love doing the Sunday crossword together!!! Just wonderful A great story…, and congratulations on your Monday to Wednesday triumphs! 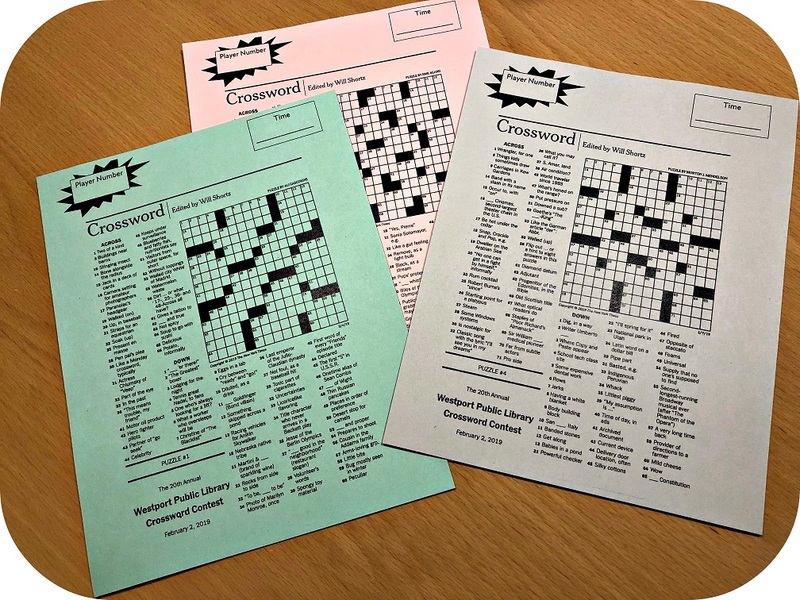 FYI – THE CREATOR OF THE CROSSWORD PUZZLE WAS ARTHUR WYNNE. HIS DAUGHTER JANET VAAST LIVED IN WESTPORT FOR MANY MANY YEARS. SHE AND HER HUSBAND JULES VAAST (CADILLAC AGENCY) HAD FIVE CHILDREN INCLUDING A SON NAMED NAMED WYNNE. UNRELATED INFO: WHEN JULES DIED IN 1963 THE AGENCY WAS SOLD TO O’KEEFE WHO SOLD TO CURRAN WHO CLOSED THE AGENCY. Carol – thank you for the wonderful addition to this post. I’m sure you know that Mom is no longer alive but the stacks of articles on her father are boxed up in my attic. The five of us are scattered between Connecticut and Florida and Mom would be thrilled to know she now has 11 great grandchildren! When I walk through Terrain, so many memories flood back from my childhood – it’s hard to believe that it once housed Cadillacs & Oldsmobiles for sale. To honor my grandfather, I always work on the Monday, Tuesday & Wednesday puzzles – sometimes with success. Forget the rest of the week – and yes, they do progress from easier to harder. 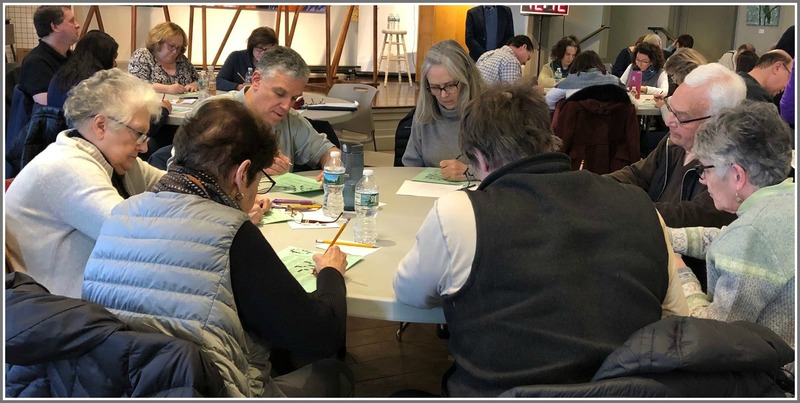 I’m so glad to see that this annual Crossword Puzzle (my grandfather called it “Crisscross”) event still continues and the memory of Arthur Wynne is mentioned once is a while! Patricia (Vaast) Workman *Way to go Dan on your attempt! So Close! 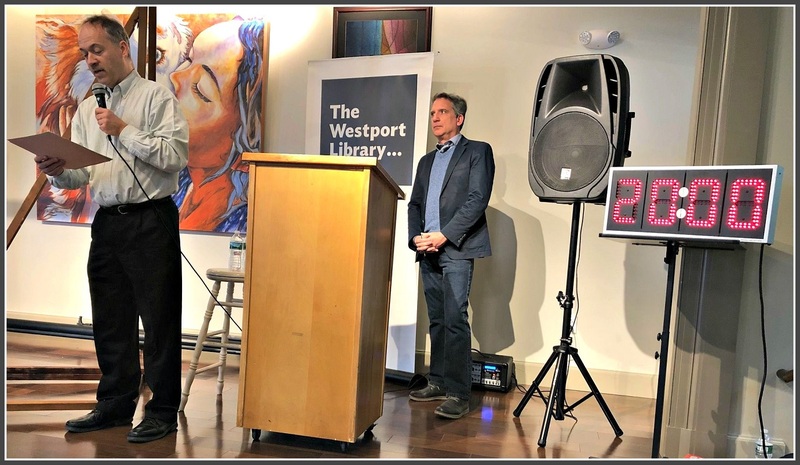 Patricia, you’ll be pleased to know that one of the trivia questions posed by library director Bill Harmer yesterday was, “Who invented the crossword puzzle?” He did not, unfortunately, mention the Westport connection! Interesting puzzle in itself : how do you get just one wrong in a crossword? Great question. One letter wrong!